Whether you’re an athlete or just looking to stay fit, wearable technology may be the key to preventing common injuries. The popular devices embrace new technology in a way that’s beneficial to the wearer. 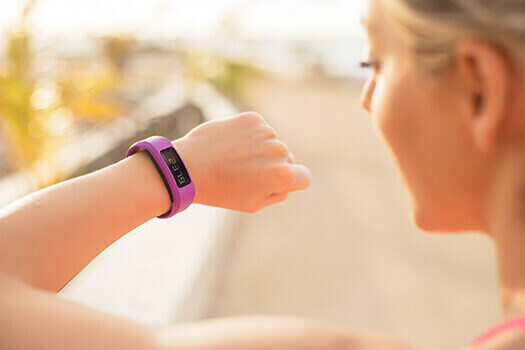 According to research recently read by spine surgeons in Beverly Hills, wearable devices have widespread potential when it comes to fine-tuning workout routines and keeping tabs on essential stats. Wearable devices are especially useful in the fields of sports medicine and physical therapy. Fitness bands, for instance, allow doctors and trainers to monitor stats and customize routines to minimize the risk of injury from over-exertion. Wearable tech can also help prevent injuries with devices that include warm-up levels and cool-down modes. Since failing to properly warm up muscles is one of the most common causes of fitness-related injuries, such features provide a reminder to include that step. Some devices allow for fitness plans to be adjusted based on data recorded and the progress made. Wearable technology has many practical uses for anyone looking to optimize their fitness routine and athletic performance while minimizing the risk of injury. For doctors, physical therapists, fitness trainers and coaches, it’s a way to access more accurate information and communicate better with patients, clients, or players. Interested in learning more about how to treat your back pain? Reach out to Dy. Hyun Bae and his experienced staff at The Spine Institute Center for Spinal Restoration. Dr. Bae is a conservative spine surgeon who can help identify the source of your back pain and determine the best treatment options for you. Call (310) 828-7557 today and request an in-person consultation.